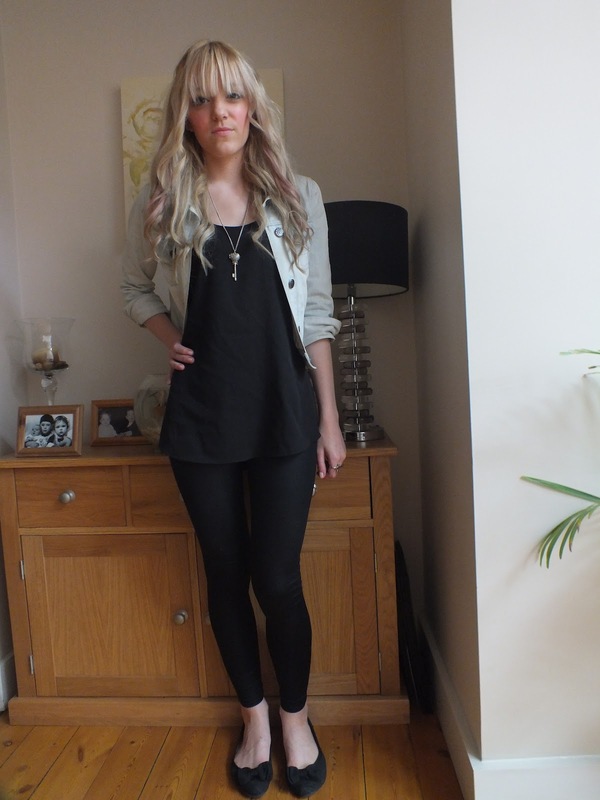 Very simple outfit today but I thought the accessories and pink hair made it just about blog-worthy! I had a little piece of spare hair extensions with 3 clips on, so I cut it into sections and dyed them a very subtle pink, what do we think?! 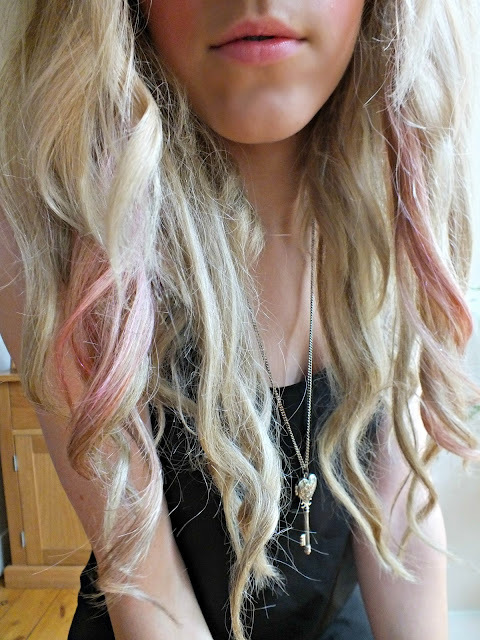 I was thinking of dip dying my extensions pink but I know I'll get bored of it sooner or later so this seemed like a more sensible idea for the time being!